Some of you may know my addiction to Ms. Donna Hay from Sydney! I have been following her for years, and she truly is an inspiration! 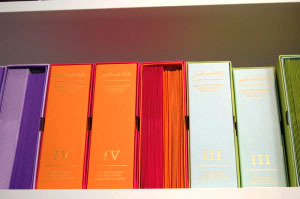 I personally think she's above and beyond Martha Stewart. One thing I was looking forward to before coming here, was to try to meet her, and to visit her general store. So what did I do? The first week I was here, I went to her store, spoke to the ladies that work there, and they invited me to meet her! Even before going back to her store, I knew she was participating in a breast cancer awareness event at the David Jones department store (the Harrod's of Sydney). So I went out to see her there, and she really is the sweetest person! She then invited me to visit her store (hence, this will be my 3rd visit in less than 2 weeks! I swear I'm not stalking her!!!). So today was the day...got there mid-morning, and luckily I was able to catch her before she left to her city office. 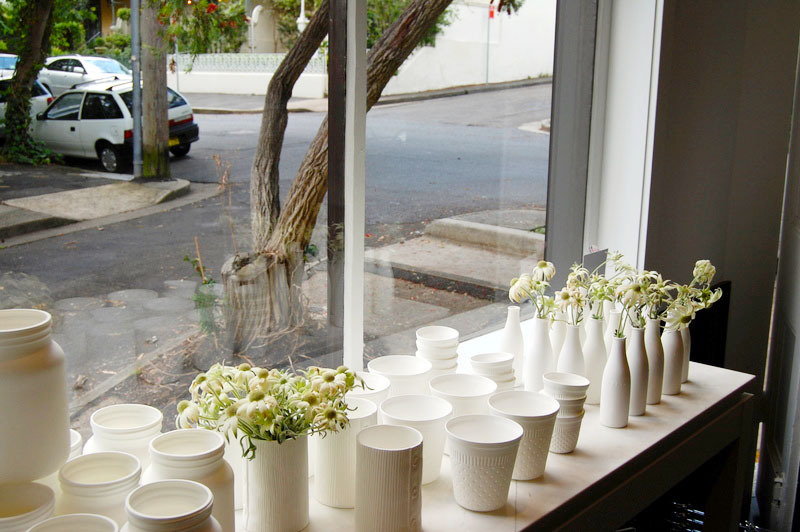 Her store is located on Holdsworth street, in a cute town called Woollahra. This neighborhood with the posh stores, cute cafes, mom's with their $$$ strollers walking around, reminds me of the Chicago neighborhoods-Lincoln Park/Gold Coast/Winnetka all in one! 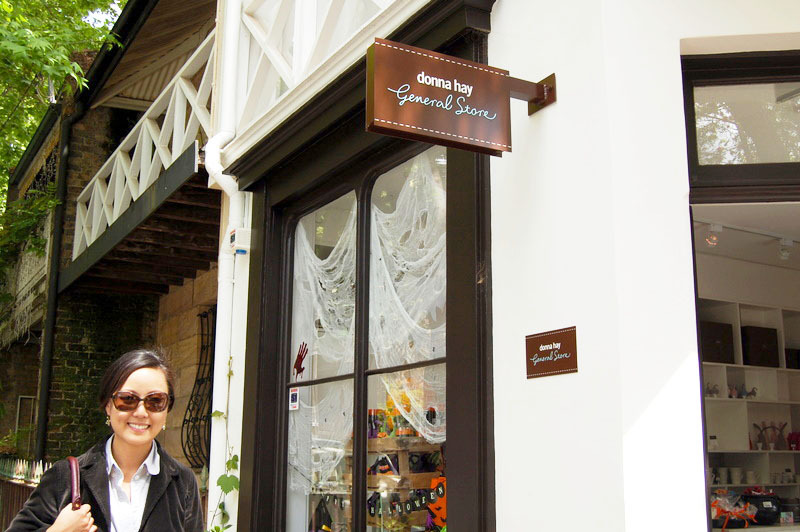 Her store is tucked away in the middle of Woollahra, very easy to miss...and I wish I could buy just about everything in her store! Posing in front of Donna Hay's general store!